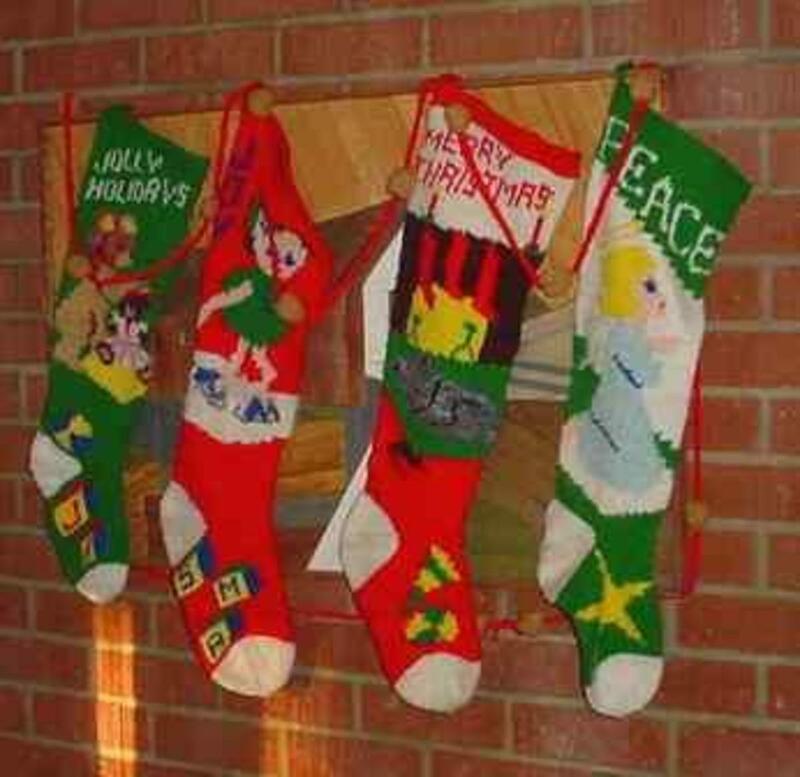 I remember the Christmas stockings my mother knitted for us long ago, and it isn't hard, as they were passed on to me and bring back great and fond memories of when she was alive, and the way she always gave in numerous little ways like this. She was extremely crafty. 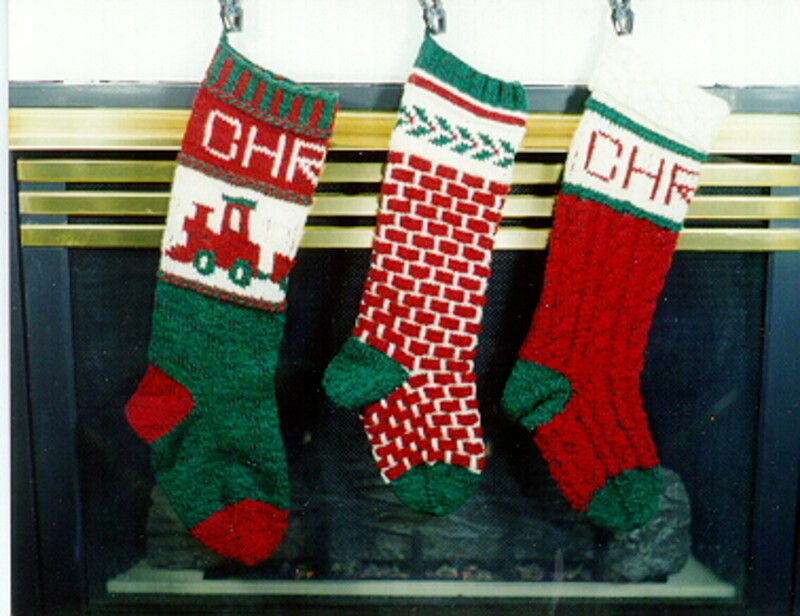 Anyway, knitted Christmas stockings are unique from other stockings, and while not always as loud as some of the other types of materials used to make Christmas stockings, definitely have their own flavor, and when they're made in a quality and interesting manner, are a great addition to the family history and Christmas décor. I know they look great when they're put out at Christmas every year, and never fail to generate positive comments and feedback. But even if they didn't, the love included in making them is worth setting them out no matter what. Below I've included a number of photos of knit Christmas stockings just to give an idea on the tremendous variety to choose to make or buy out there, and to see what style may appeal to you when thinking of who you are buying or knitting them for. Some will inspire you immediately, and others will, I'm sure, generate a - Huh? No matter though. That's the same with anything we look at, and some of these will surprise you and definitely cause you to react one way or the other as to whether it's a Christmas stocking pattern you would want to knit or buy. 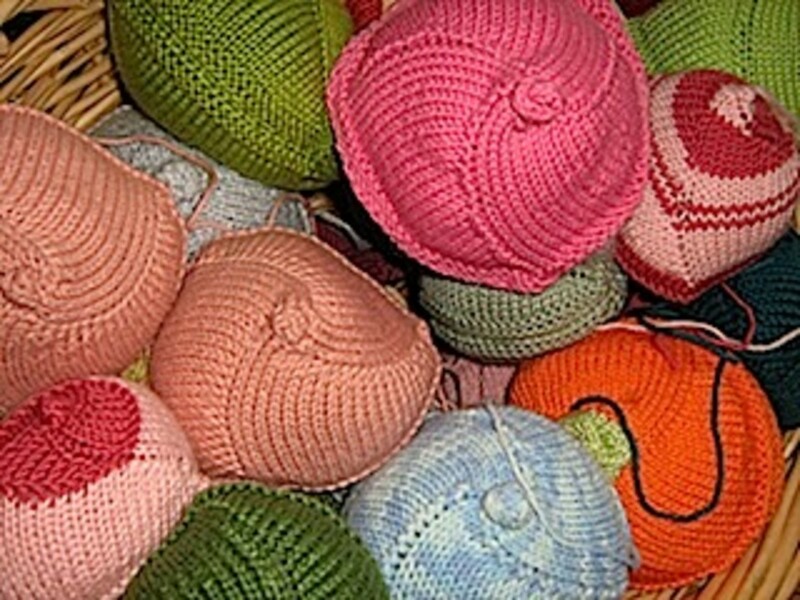 This group of Christmas stockings reminds me of some of those my mother knitted for my family and myself. The only thing wrong with them is they just don't look as good when they're not filled with something. Put something in them and they look even better as they fill out more. This is another great set of Christmas stockings, which include traditional colors and some fun pattern and designs. I really like these a lot too. As you can see, you don't need to get overly creative with the message, as the simple and effective 'peace,' 'Merry Christmas' and 'Jolly Holidays' work fantastic. Again we have some traditional looking knit Christmas stockings, showing how you can use similar colors but make a completely different look. My favorite among these three below are the one built to look like a chimney, although the one with the train also looks great, as does the solid red one. 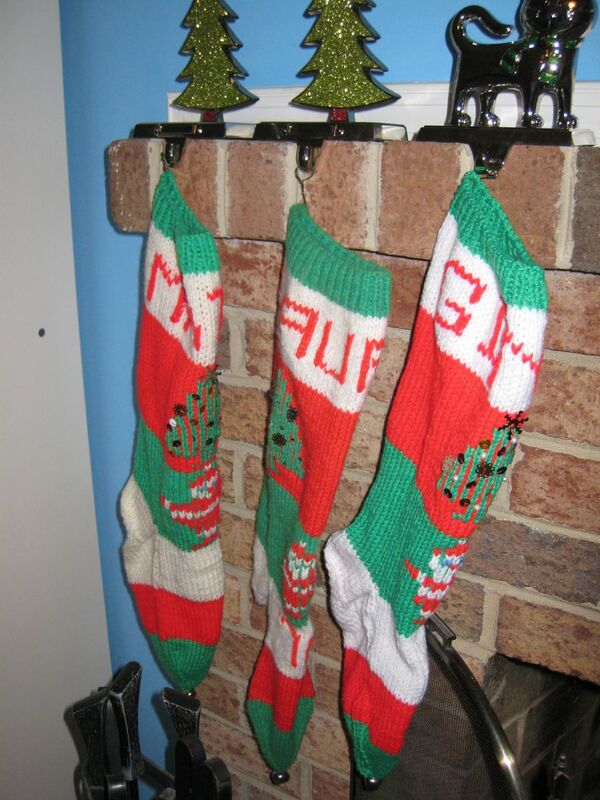 These knit Christmas stockings represent a subtle but obvious change from the prior knit stockings, as you can see. They're great patterns, although I'm more of a traditional type of person, so probably prefer the other styles. But I'll bet some reading this enjoy these. Did I say I liked traditional Christmas colors? Of course I do. But these purple and white Christmas stockings really appealed to me, and I liked them the moment i set my eyes on them, showing patterns and colors can be interchanged to make great knit Christmas stocking designs. 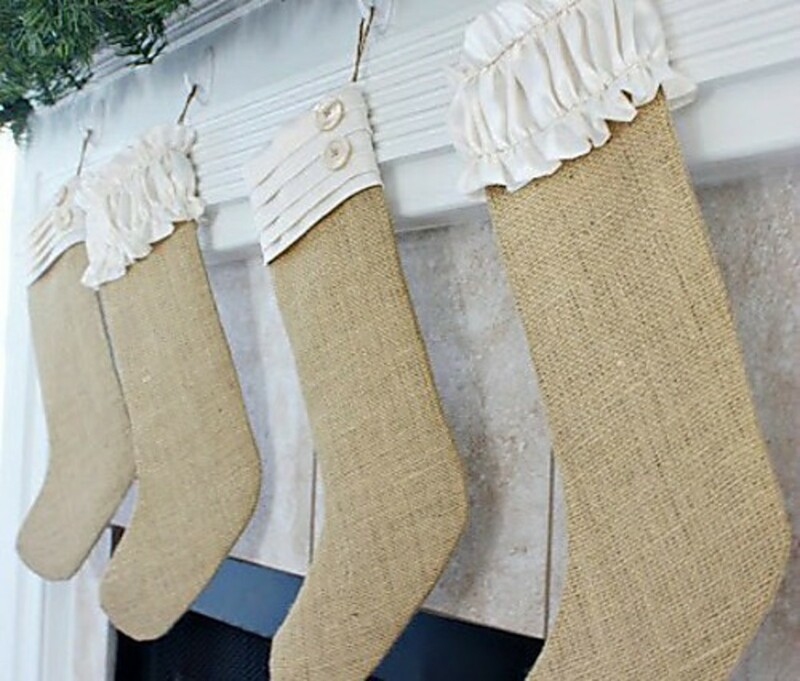 I struggled a bit when I first saw these knit Christmas stockings, probably because they looked a little old fashioned and unattractive at first glance, but they grew on me a little bit, although they wouldn't be my first pick for design, pattern or color. 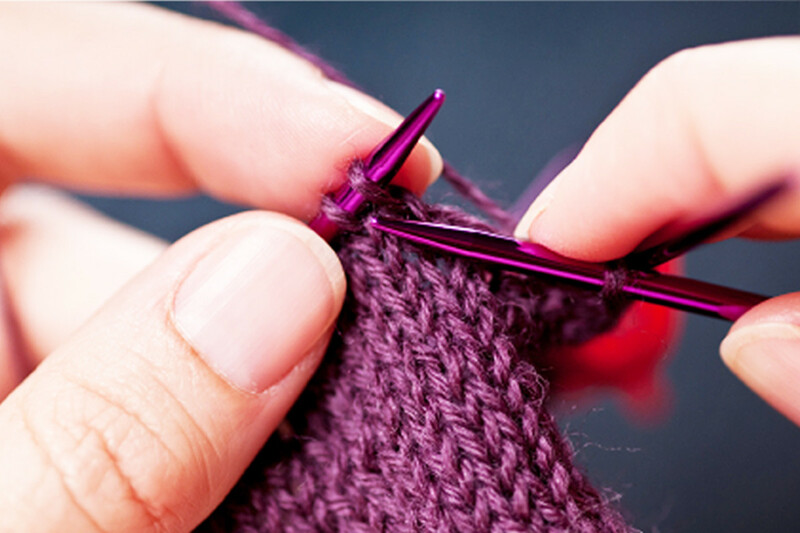 Even so, they do offer some fun and different ideas as to what you could do when knitting or buying Christmas stockings, and show how they could work when you migrate from the traditional way they're made. 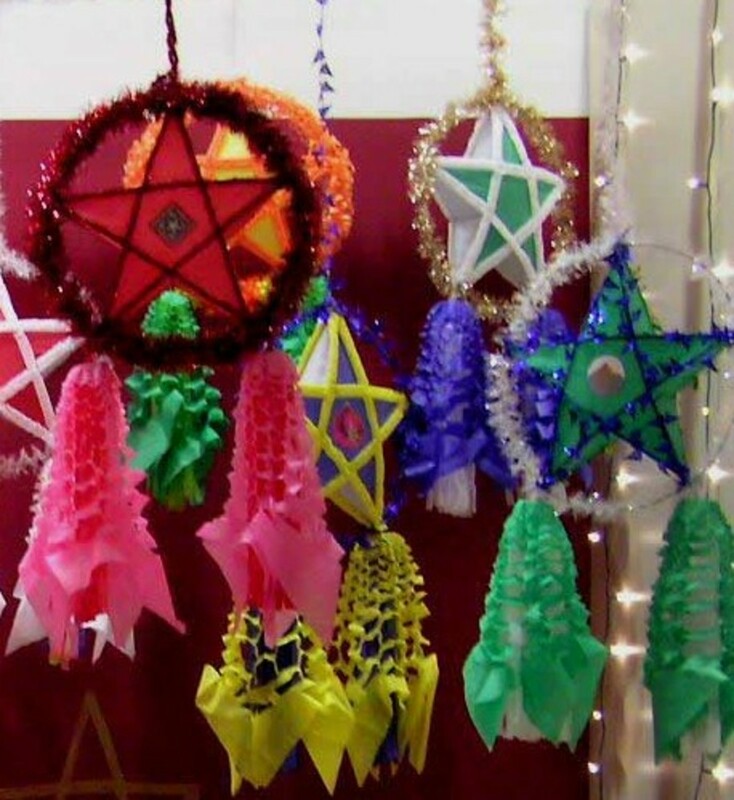 What they do have going for them is a homemade and personal feel; something that is very relevant and important during the Christmas holiday. 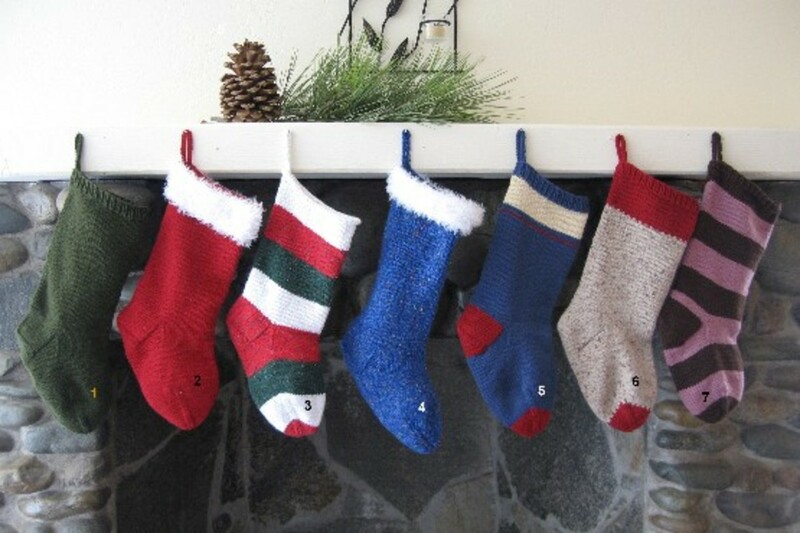 I purposely included groupings of knit Christmas stockings to present as many ideas as I could to inspire some ideas and thoughts as to what would work for you and your family when considering Christmas knit stocking ideas. Taken together they do represent a wide range of possibilities which should fit the majority of people and their Christmas stocking taste. 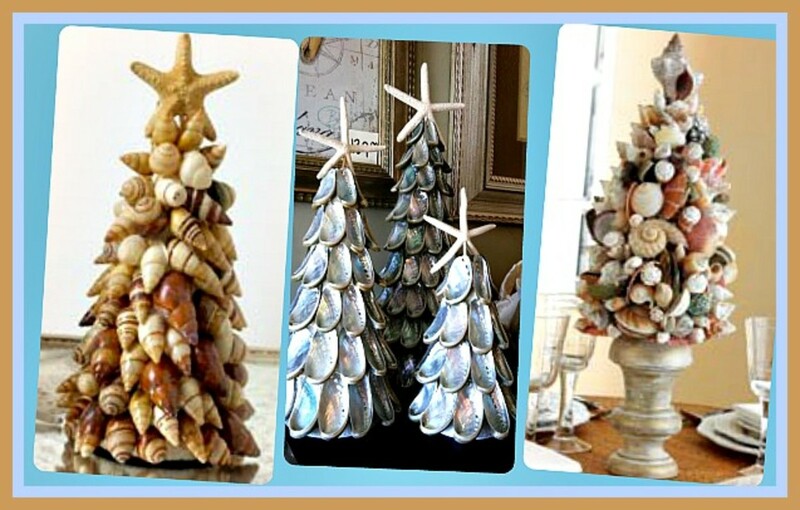 And yes, as you can see, they would fit in with your normal Christmas décor as well. 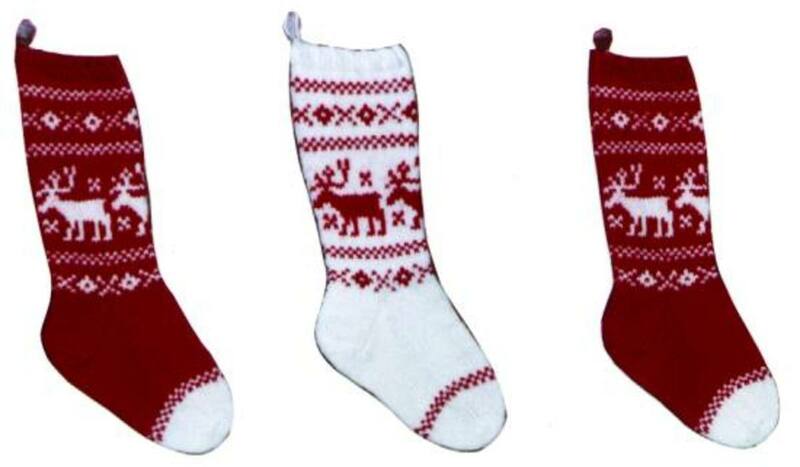 Im looking for a knitted stocking pattern with a moose and one with a tractor on it. I am looking for the pattern book that the stocking of the fireplace and cat were in. My mom also made these and I would like to make some as well. The pattern is from knit-to-fit but I can't find the pattern anyway. If you have any suggestions, I would really appreciate it.